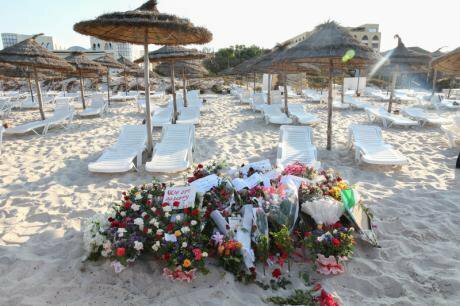 The massacre of tourists in Tunisia's coastal resort of Sousse reveals Islamic State's intention to target Britain. There is more to come. Tunisians lay flowes on the beach of the empty resort at Sousse. Demotix/ Chedly Ben Ibrahim. All rights reserved.The full impact of the multiple killing of British holidaymakers in Tunisia on 26 June 2015 is being felt with the gradual return of the estimated thirty bodies. Several key aspects of this and related incidents continue to emerge, which have serious implications for attempts to deal with Islamic State. Not least of these is the immediate promise of British prime minister David Cameron of a “full-spectrum response”. There is little indication so far of what that would actually mean, apart from defence secretary Michael Fallon hinting that the UK's military involvement in the air war to Syria might be extended. The first aspect to note is that the attack in the resort of Sousse turned out to be utterly different from what was initially assumed, namely the random action of a young man acting alone. Instead, it was part of a developing campaign by elements linked to Islamic State, and with multiple aims. Seifeddine Rezgui’s assault on the Imperial Marhaba hotel, which killed thirty-eight people in all, was specifically targeted at British tourists - to the extent of Rezgui deliberately avoiding killing Tunisians, even when some of them courageously stood in his way. It was thus also fired against the country which is second only to the United States in the pursuit of the now ten‐month air war with Islamic State in Iraq and Syria. By a grim coincidence, the Pentagon released information on the extent of that war four days before the Sousse attack. It reported that in the ten months to 22 June 2015, as many as 7,655 targets had been attacked. This involved 15,800 sorties costing an estimated $9 million a day, which resulted in the killing of around 1,000 Islamic State fighters a month. It is not possible to confirm these figures, nor to know how many of the dead were actually civilians. But what can be assumed is that Islamic State propagandists will make much of the deaths of any civilians, and will also constantly remind their followers across the world of the intensity of the “crusader assault” on these valiant protectors of Islam. Britain’s role in the war is very small compared with that of the United States forces, but is still greater than any other ally. The UK defence ministry is very cautious about giving out details, although it has become apparent that armed Reaper drones with their Hellfire missiles have been used more widely than the Tornado strike-aircraft (see "Britain's information-light war", 25 June 2015). Regarding the Sousse attack, it is emerging that Rezgui was the front person in a team assembled for the purpose. He had trained in an IS‐linked camp, Al Ajaylat, at Sabratha, a coastal town about 65 kilometres west of Tripoli in western Libya, only 90 kms from the border with Tunisia. In Tunis, government sources say the Sabratha camp was also the base used to train the two suicide-attackers who massacred twenty-two people at Tunisia’s Bardo museum on 18 March. The significance of Libya is that it reinforces the disastrous nature of the Nato action in 2011 when its operation aided rebels in terminating the Gaddafi regime but with little recognition of the likely consequences. The oversight was remarkable given the experiences in Afghanistan (2001‐02) and Iraq (2003), and the manner in which apparently straightforward regime terminations had such dire long‐term consequences. In this new context, however, any response to the mass murder of the tourists has to factor in the probable aims of Islamic State planners in encouraging the attack in Tunisia. It was clearly very much focused on Britain and its role in the war, as well as to demonstrate its capacity to operate in other countries. That factor is also present in the bombing of the Shi’a mosque in Kuwait on the same day. It is worth remembering here that Kuwait has a crucial role in supporting diverse US military units, so any internal social tensions that may result from the attack suits Islamic State (see "Sousse, Kuwait, Lyon: a triple alert", 26 June 2015). A clear aim at Sousse, as with the Bardo museum operation, was to damage the Tunisian tourist industry. From the IS perspective, any increase in unemployment and marginalisation in Tunisia increases the chances of young people rallying to its cause. In addition the focus on Britain seeks to provoke the British government into widening its role in the war, with the particular hope of ground forces being deployed - and thus, potentially, soldiers captured with predictably grim results. So far the Cameron government has been cautious about this, and it is likely that some senior military and diplomatic advisors with experience in Iraq and Afghanistan are advising accordingly. 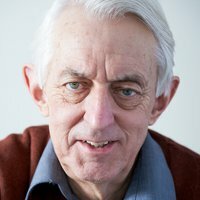 There is another British dimension to the Tunisian incident. Islamic State also wants increased community tensions within Britain involving its sizeable Muslim population. The ideal outcome from the IS perspective would be a rise in Islamophobia, with the possibility of further marginalising Muslim communities and attracted more than the current tiny numbers attracted to the cause. There may well be further attacks to further this objective. In this respect, Cameron appears to be close to falling into the trap with some of his comments this week on radicalisation. This adds to the sense that this is a time when every effort has to be made to maintain community relations. It will not be easy given the xenophobic elements within British politics, which Islamic State planners and strategists are well aware of and will integrate into their plans. None of this makes it any easier to work out how to address the substantial problem of Islamic State. But the best advice, as with al‐Qaida over more than a decade, is not to do what it wants you to do. Even now, we do not appear to have learned that lesson.